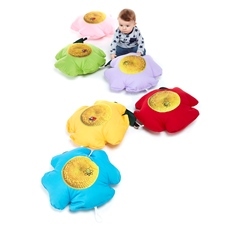 The Daisy Chain Cushions are a set of 6 floor cushions. 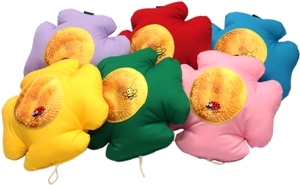 Each cushion is shaped like a flower and is in a different colour and are attached to form a chain. The cushions are fibre filled and are for indoor use.